Two years ago, I posted a recipe and background information provided by Sonia Tashjian for a bread specifically reserved for New Year’s Eve – Dare Hats. 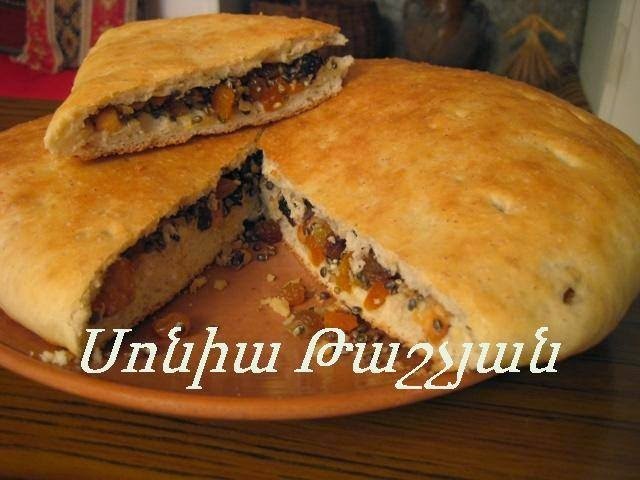 Sonia recently sent me another photo of the bread, explaining that this unique bread is from the Sasun region of Armenia. To see the recipe and previous post, please click here. We wish you all good luck, health, prosperity, and peace in the New Year! How big is the round pan-pizza size-cake size? thanks! I contacted Sonia in regard to the pan size. She said she uses a pan that measures 25-30 cm, or about 9-10 inches (give or take).